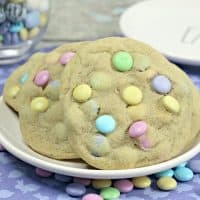 These jumbo Easter cookies are packed with pastel M&M candies and make a delicious and easy dessert, perfect for Easter or for Spring in general. 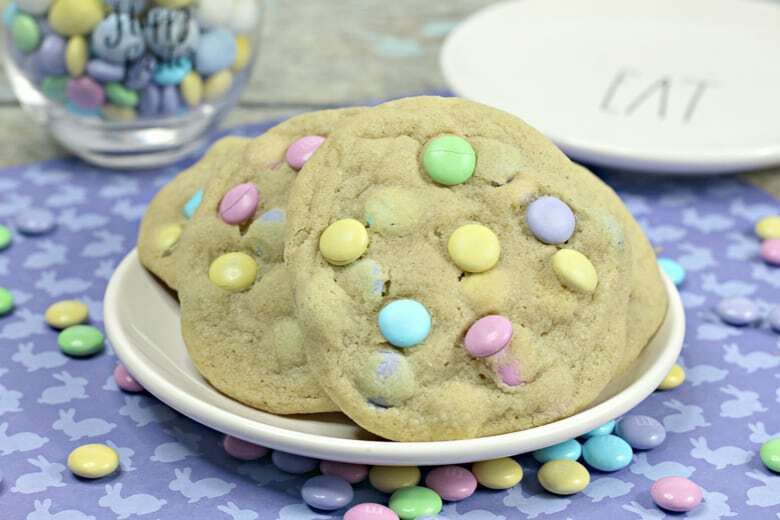 If you are looking for an easy Easter cookie recipe that everyone is sure to love, look no further. 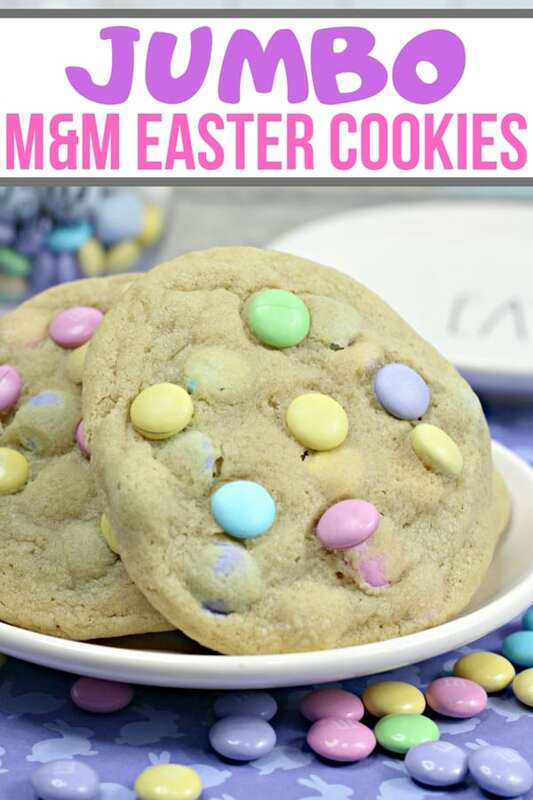 The Easter M&Ms give these cookies an Easter and Spring-vibe, but you could easily substitute another variety of M&M candies as well. No matter which candies you use, one thing is certain — these oversized cookies will be a hit! This recipe makes 22 jumbo-size cookies. These are BIG cookies, so one a person should be plenty. Serve with a glass of milk and enjoy! I can't blame you for looking for a short cut. I like quick & easy recipes, so I respect that! You could totally make these beautiful cookies using store-bought sugar cookie dough or a sugar cookie mix. Just add the candies! 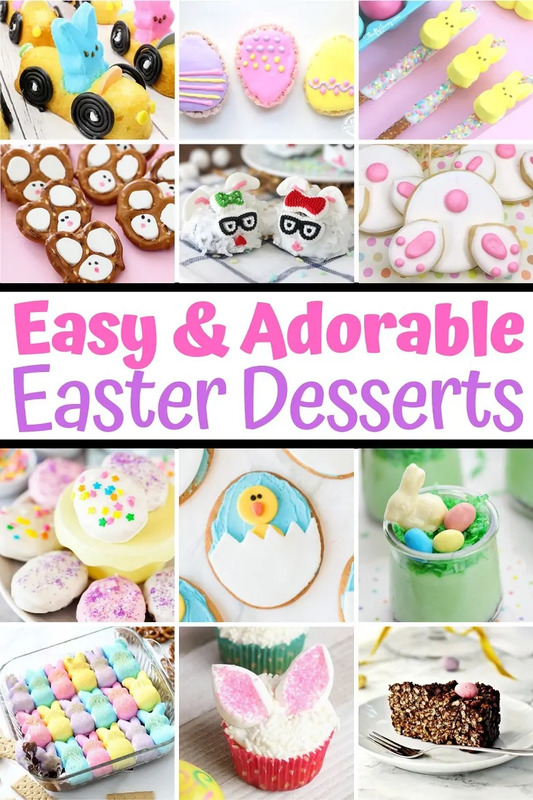 Check out these 30+ fun and easy Easter dessert ideas. 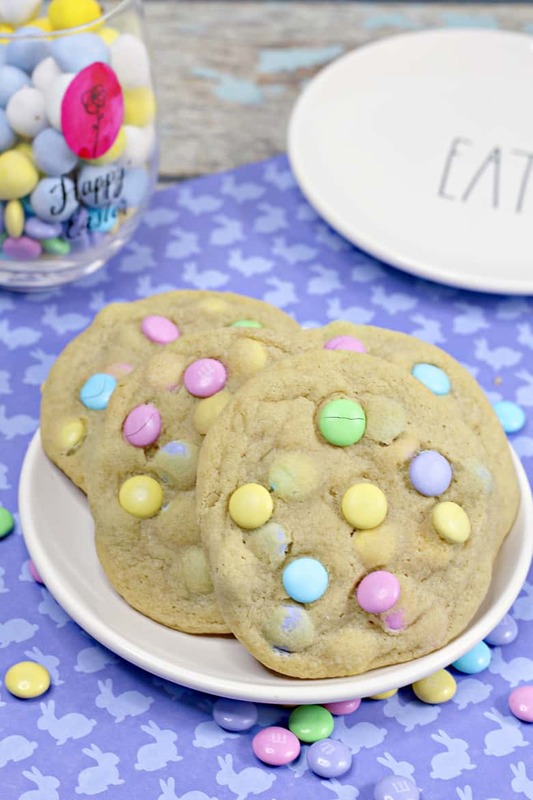 Easy homemade Easter cookies packed with pastel M&M candies are a delicious dessert recipe, perfect for Spring. In the bowl of a stand mixer, beat butter and sugars until light and fluffy. Add egg and vanilla, beating well to combine. Gradually beat in the dry ingredients until combined. Fold in 1 cup of M&M's. Using a medium-size ice cream scooper, scoop cookie dough onto lined cookie sheets. Lightly press down on each cookie to flatten and form a thick disk. 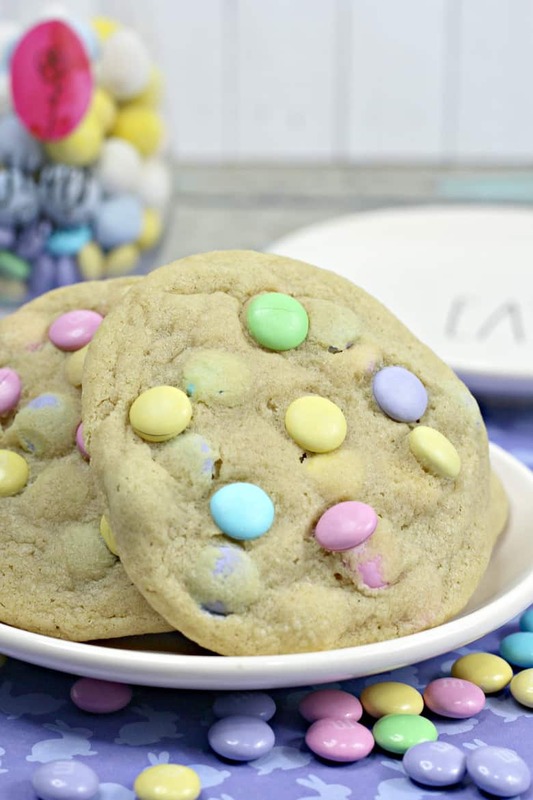 Add a few M&M candies to the top of each cookie. Bake for 10-12 minutes or until edges turn light brown. Cool for 5 minutes on cookie sheet before transferring to wire rack to cool completely.